Looking for something light and filling? Well here is a quick solution. 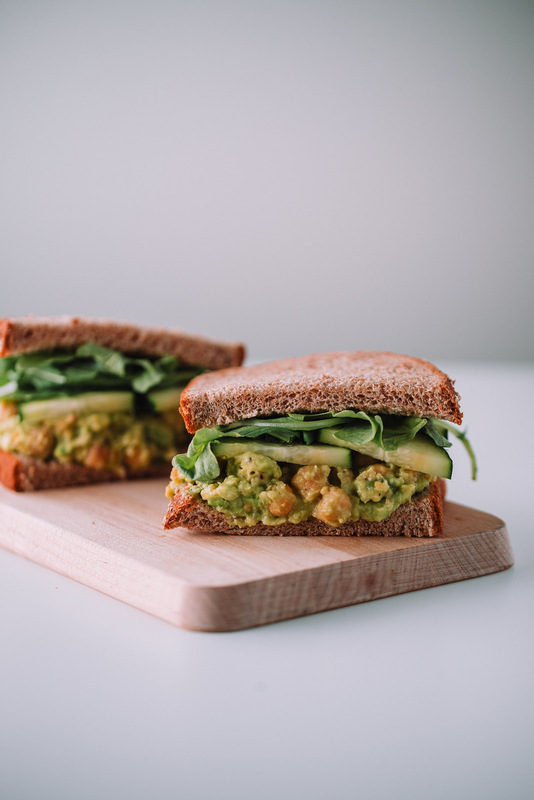 Smashed Chickpea Avocado Sandwich. I must admit it’s not the prettiest but it hits the spot when your hungry and looking for something easy to fill you up. 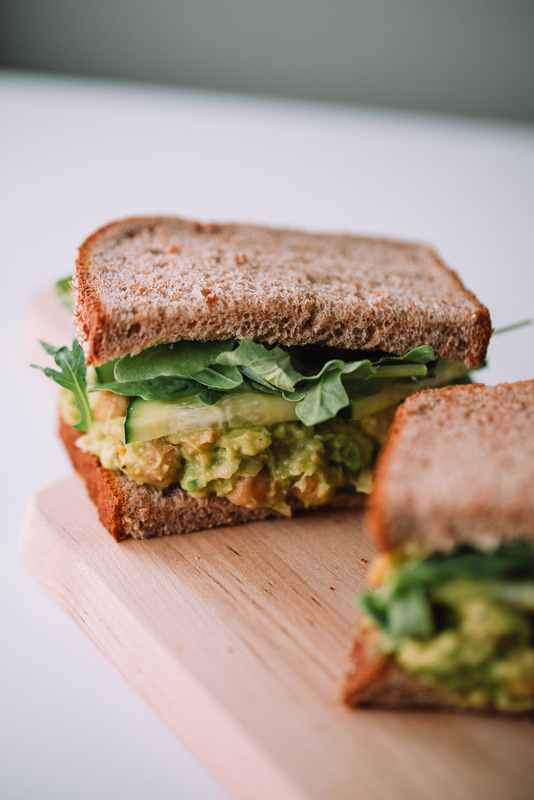 Making this Smashed Chickpea Avocado Sandwich is easy peasy. Start with one ripe avocado. Slice the avocado in half and remove the seed. Scoop the avocado out and place in a large bowl. Next take half of the chickpeas and add them to the large bowl along with the scallions, lemon juice, salt, pepper, chili flakes. Mashed everything together until thick and smooth. You can use a blender to speed up the process. 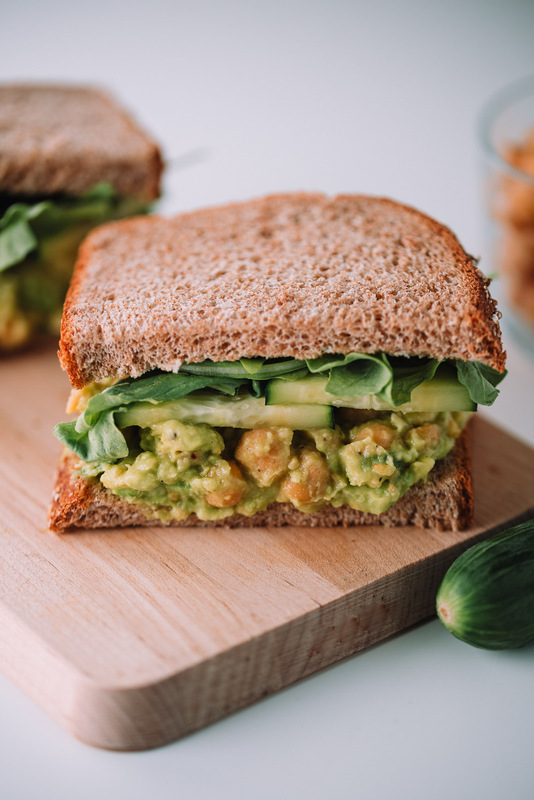 Lastly add the remaining chickpeas and toss together until chickpeas are well coated with the avocado mix. Grab 2 slices of your favorite bread. Here I’m using 100% whole wheat bread. 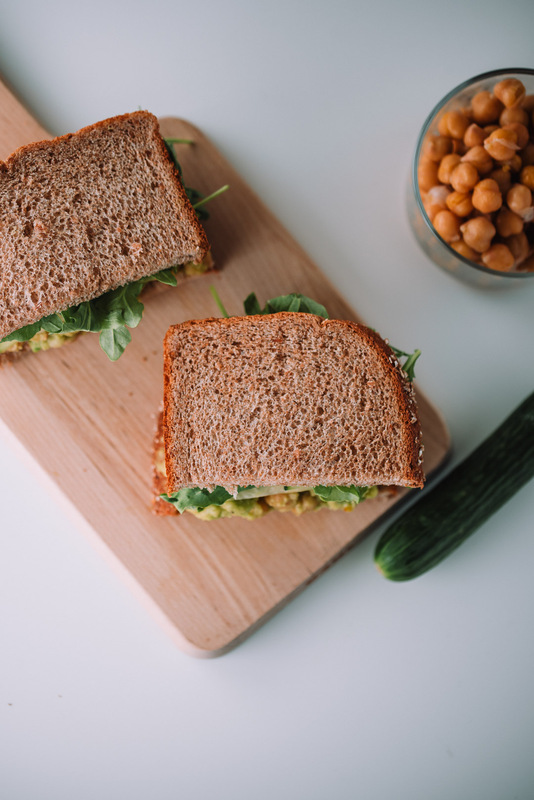 Make the sandwich by place spreading the chickpea avocado mix on the bottom, followed by a layer of sliced cucumber, and then a layer of arugula (about 1 handful). Feel free to use other greens like spinach or micro greens. Finish the sandwich with second slice and enjoy.